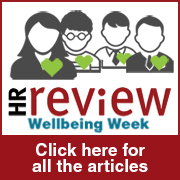 You Are Here: Home → Analysis → Wellbeing Analysis → Chris Moriarty: What can employers do to create a happy workforce? Chris Moriarty: What can employers do to create a happy workforce? In a market where the battle for talent is becoming increasingly competitive, employers are being dazzled by the appeal of sophisticated “wellness programmes” without considering the direct impact of a decade of under-investment in the physical workplace. Leesman has surveyed more than 165,000 (Q2 2016) employees across the world and the latest data has revealed that only 56% of employees agree their workspace enables them to work productively. It begs the question about the mental health and wellness impact for an employee who wakes each morning knowing that the workplace they are about to commute to does not support them working effectively. The chances of them exhibiting any sort of loyalty, pride and dedication – or invest an ounce of discretionary effort – are surely going to be negatively impacted. For Leesman, it is this that needs to be address before organisations begin to go head long into wellness programmes that often are limited to physical well-being. Whilst we would applaud any employer investing in efforts to improve the health and fitness of their employees, these efforts should not be at the expense of, or as some sort of diversionary tactic to detract from the core issue – that for growing numbers of employees, the physical and technological infrastructure of their workplace does not support productive work, let alone perform at their peak. A lack of focus surrounding health and wellbeing can, of course, impact employee motivation, engagement and performance. However, we would argue that the physical workspace plays a crucial part in this pursuit. So what can employers do to create a happy workforce through the workplace offering? Well, first and foremost, they need to create work environments that support their employees’ needs. Employees are increasingly developing complex work profiles (the range of different task types they conduct regularly) meaning that the need for a variety and choice of space is paramount. And yet only 29% of the employees we’ve surveyed are satisfied with the level of variety in their office. Offering a number of different spaces means people can choose the right environment for the specific task in hand. There is plenty of evidence around to support the view that if people feel supported in their role, they will be more engaged – and morale will lift accordingly. Variety in the workplace also has additional benefits, like reducing the impact of noise. Our databank reveals that a large number of employees are not content with the noise levels in their workspace. However, getting it right can have a huge impact; of those who say they’re happy with noise levels, 82% report that their environment allows them to work productively. That’s a 50 per cent improvement compared to those that aren’t satisfied with noise levels. This again, points to the importance of variety; we see higher satisfaction with noise levels in environments with choice as people can escape the noise. It’s also important to remember that people are social creatures. It’s a normal human instinct to crave a sense of belonging; to be part of a group and to feel included, accepted and respected. Considering we spend an average of thirty-seven and a half hours a week at work, this basic need has to be translated into the workplace which can act as a huge an enabler when it comes to fostering social cohesion. Across the respondents in our database, only 58% report that their workspace contributes to a sense of community. Out of those, 84.2% feel that their workplace creates an enjoyable environment to work in; whereas only one in 10 workers that agree their workplace offers a sense of community suggest they find the work environment enjoyable. In our portfolio of Leesman+ award winners (workspaces worldwide that have achieved the highest scores for effectiveness out of the 1,407 buildings we’ve surveyed), 72% agree that their workplace contributes to a sense of community – that’s a difference of 14 percentage points from the average. Our research suggests that there is a clear correlation between community-focused workspaces and the satisfaction associated with that work environment. Workplaces which support a sense of community can help people collaborate at work, think creatively, improve social interaction and encourage learning across teams. The workplace is not just a space that keeps the rain out; it is a business critical part of the organisational infrastructure and it has a crucial impact on the satisfaction, behaviour and productivity of the employees working within it. Considering only 51% of the thousands of employees we’ve surveyed agree that their office is a place they’re proud to bring visitors to, business leaders should invest their efforts in order to improve not only health and wellbeing but also the core issue, which is about creating a physical and technological infrastructure that allows employees to work productively. To create a happy workforce you need to understand your people, understand how they work and then build the workplace offering around their needs.